ITG members are encouraged to send trumpet-related news for publication on this website and in our quarterly journal. ITG strives to present news items of an objective nature only, and all items will be edited for clarity and brevity. News stories should be submitted within two months after the event has taken place. We are also happy to publish your photos. Please send hi-resolution images, with recommended file sizes between 500kb and 5 MB. Please do not send images larger than 10 MB. In order to be printed in the quarterly journal, images should be 300 dpi or greater. 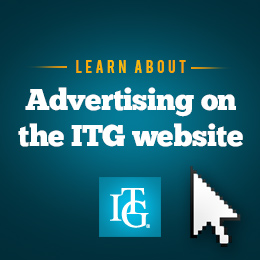 The exception to this rule: ITG Chapter Events that receive ITG funding may advertise their ITG-sponsored events on the ITG website under "Member Announcements."